Tulips are one of the most popular flowers around according to sunbulb.com. They are a bulbous plant, which means they have underground storage organs that allow them to survive difficult weather conditions. Florida has a favorable climate for many bulbous plants, but not necessarily tulips because they need cold weather. According to the USDA Plant Hardiness Zone Map, Florida is in Zones 8, 10 and 11. This means the average annual minimum temperature does not dip below 15 to 40 degrees Fahrenheit, depending on your location. You can still plant tulips in Florida by following some specific instructions. Take some special steps to plant tulips in Florida. Buy the bulbs you want to plant at least eight weeks before planting. Use the USDA Climate Hardiness Zone Map to determine what zone in Florida you live. If you live in zone 8, you should plant in November to early December and if you live in zone 10, you should plant in late December to early January. 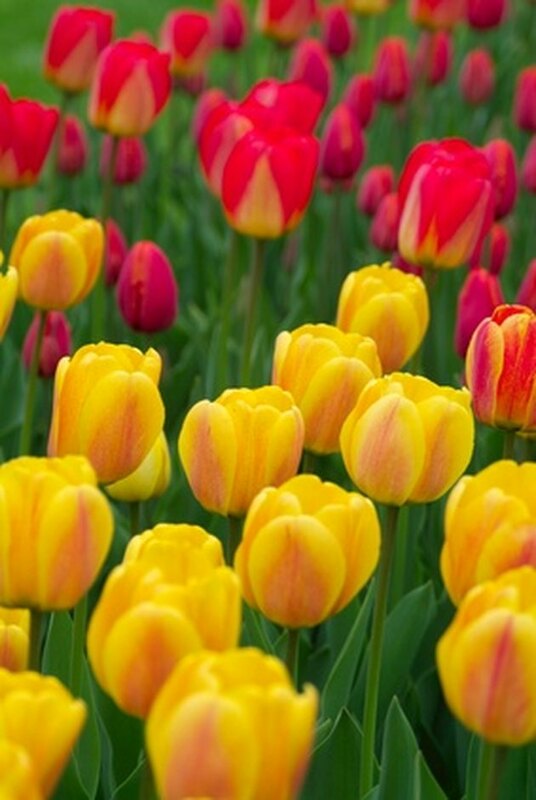 If you live in zone 11, your minimum temperature is not low enough for tulips to grow well. Darwin Hybrids and Single late variety tulips work better with mild winters. Place the bulbs in a paper bag and put them in the refrigerator six to eight weeks before you plan to plant the bulbs. Make sure they are not near any ripening fruits which emit a gas that can destroy the flower bud. Prepare the soil where you will plant the tulip bulbs. 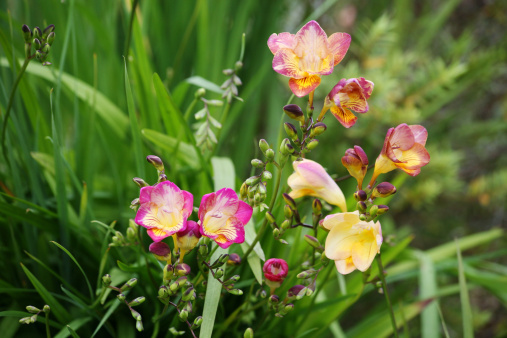 Bulbs will do best in a sunny location, so try to avoid any shady spots. Till the soil and lay three to four inches of an organic material. You can use peat, compost or well-rotten manure. Make sure the soil has good drainage. If it does not, build up raised flower beds so it will drain. Refer to the USDA Climate Hardiness Zone map again to see when you should plant. Tulips will grow best in Northern Florida, from Pensacola to Jacksonville and south to Ocala, according to University of Florida’s Institute of Food and Agricultural Sciences. Dig holes with a small shovel or trowel and plant tulip bulbs five inches deep and eight inches apart. Cover them back up with the soil. Lay a two inch layer of mulch over the soil when you plant to prevent any weeds. If weeds do come up, pull them as soon as possible. Water the soil enough to keep it moderately moist until the end of the growing period. Tulips bloom sometime in the spring.